Founded in Tempe, AZ in 2013 by two people with a lot of passion for craft beer, Huss Brewing Co. is proud to be one of the state’s largest independent brewers. Swing by our a brewery/taproom in Tempe, or our standalone Taproom in Uptown Phoenix, and enjoy a true taste of Arizona Craft Beer. Husband-and-wife, Jeff and Leah Huss, have nearly 30 combined years of experience in the brewing industry. A former head brewer for BJ’s Brewing in Chandler, Ariz., Jeff attended the Siebel Institute in Chicago, then the Doemens Academy in Munich, Germany. Leah co-owned and operated Papago Brewing in Scottsdale, AZ, for 14 years, helping pioneer the craft beer community and growth in Arizona. 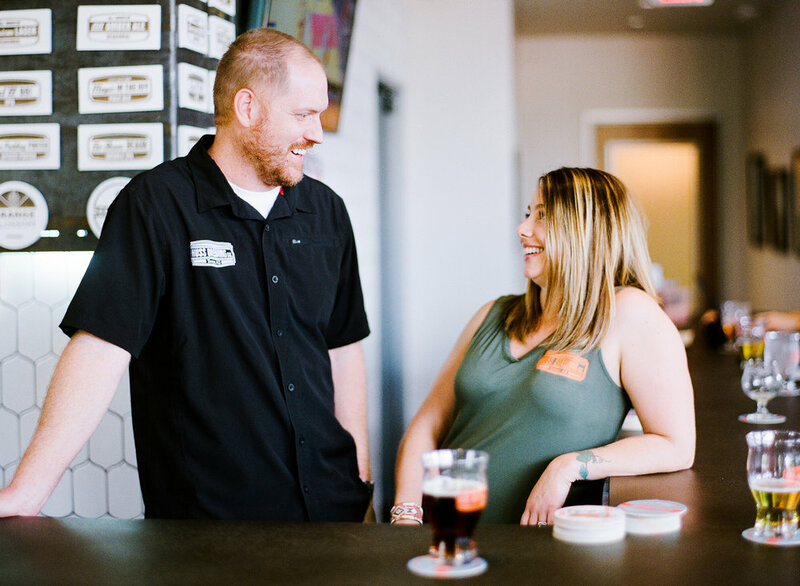 Their combined love and passion for craft beer inspired them to chase their dreams of owning a local, family-owned and operated brewery with Jeff acting as brewmaster, and Leah running business and marketing operations.